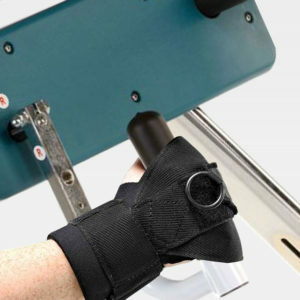 The medBike® Upper Trainer is an easy add-on for arms, shoulders and back training. 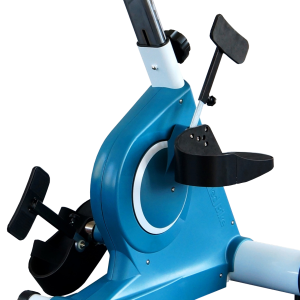 Change from lower to upper trainer with a simple twist/turn knob. 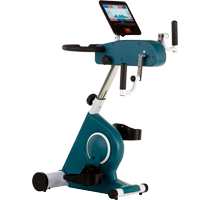 This kit enables both upper or lower active-passive training in just one device. Height adjustment is easy and quick to suit every individual, and it comes with an adjustable crank radius (60 or 130mm). Safe arm training for persons with partial or complete paraplegia of the upper or lower arms. For many people with partial or complete paraplegia of the lower body, lateral control of the lower legs is highly important during motion training to prevent muscle shortening and joint stiffness. To assure a comfortable and correct position, a safe guidance of the lower legs is advisable.